Hi everyone! Today I'm sharing with you some of my favourite looks and fashion shows from Fall/Winter 2013. Which were your favourite fashion shows? Olá a todos! 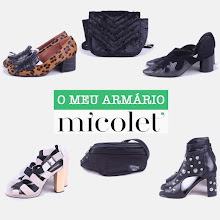 Hoje estou a partilhar convosco alguns dos meus looks e desfiles preferidos das colecções Outono/Inverno 2013. Quais foram as vossas colecções preferidas? Love Oscar de la Renta and Stella McCartney's looks! Adorei o blog, já sigo! Kisses from Prague, follow you and hope you follow me back. So many shows so little time - I loved the Hotel corridor that Louis Vuitton did. Chanel's always amazeballs. Wow! I love Céline's look! I just posted a new post on some awesome shoes that I scored! Such a inspiring blog girls! you rock! New entry in myblog! blogthedreams, kisses! Loving your blog! The concept is really cool. That Oscar dress kills me!